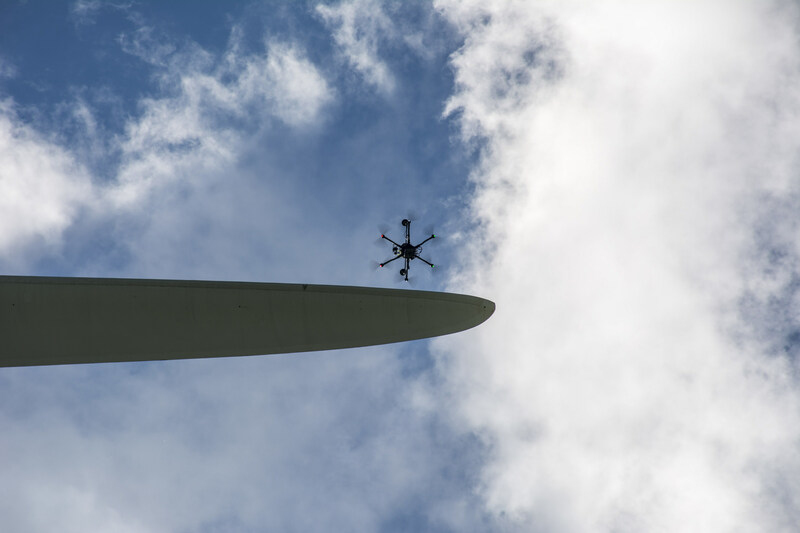 ANN ARBOR — The Ann Arbor drone inspection provider SkySpecs will demonstrate its technology at the Wind Energy Expo and WindEurope Summit in Hamburg, Germany next week. SkySpecs brings 20-minute, automated blade inspections to the wind industry, allowing asset owners to monitor the health of their turbines faster and more precisely than with traditional methods. “We have been working with customers and partners in the wind energy industry to develop an automated inspection technology that allows wind farm owners, ISPs and OEMs to inspect their fleet in under 20 minutes with little more than the push of a button,” SkySpecs CEO Danny Ellis said. SkySpecs says its technology solves one of the top challenges that wind farm owners face: generating timely, precise and easy-to-consume data while simultaneously keeping down-time to a minimum. SkySpecs’ blade inspections are automated from start to finish, minimizing the need to allocate human resources to complete the job. Launching the inspection; gathering the data and receiving the reports requires minimal work and is completed in a fraction of the time it takes to conduct ground or rope inspections. Automation gives asset owners the flexibility to conduct inspections whenever they choose, whether a tower is down or wind speeds are low. Also, the company said, an inspection takes around 15 minutes, and the blades do not need to be stopped in a particular orientation to complete. And precise, accurate data location provides a clear benchmark and a digital timeline of damage progression. Every image is tagged with the data that customers need to locate, annotate and make decisions about timing of blade repairs. Velodyne LiDAR (laser radar) provides the key 3-D sensor technology widely used in the research and development of autonomous vehicles. With continued reduction of form factor and weight, such technology is now available in the air. For more information about SkySpecs or the demonstration in Hamburg, contact info@skyspecs.com or visit www.skyspecs.com. For a video on the company’s technology, visit this link.